In our wired and wireless world, our work takes place virtually everywhere. How do we stay efficient on the road? And when we manage to take a few days off, how do we make sure we have some semblance of a vacation? We asked some tech-savvy road warriors—including an exec from Google and several business-travel experts—for their best tips. 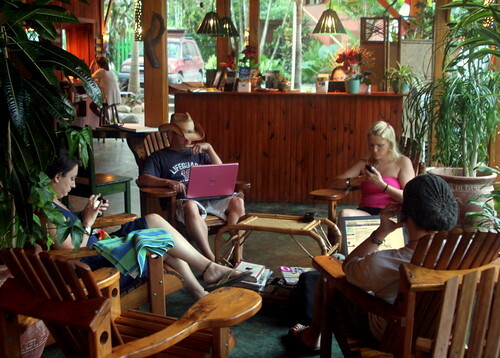 People in the top of their business have difficultly disconnecting on vacation. Photo by Dave Gingrich.